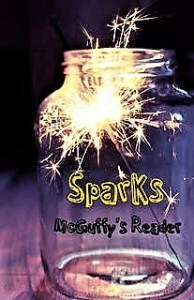 Annie of McGuffy's Reader is hosting Sparks, an inspirational and positive thought for the week link-up, every Monday. WOW, isn't this the truth! Gratitude definitely makes the life/heart fuller and places one's perspective on track. Excellent "Sparks" and what an adorable "Aww Monday" pix. Have a blessed week, dear friend! A lovely Awww picture, and that is so right about gratitude! Gratitude sure makes one feel so much better. Great Spark Sandee. And those two kittens are just adorable. Sandee, you and Zane have one wonderful day. Adorable kittens ~ but not sure where to link up ~ here or McGuffrey? 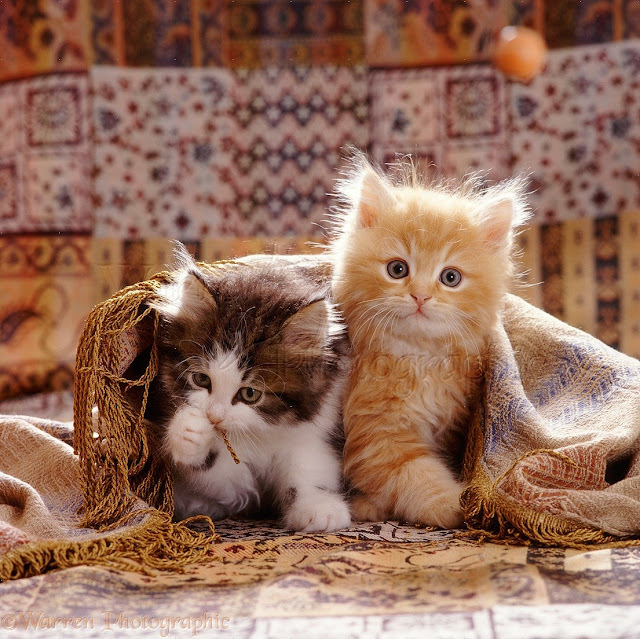 Cutie kitties under the carpet...wonderful colour combination! Cute kitty picture! And how much happier we are when we are grateful for what we have! 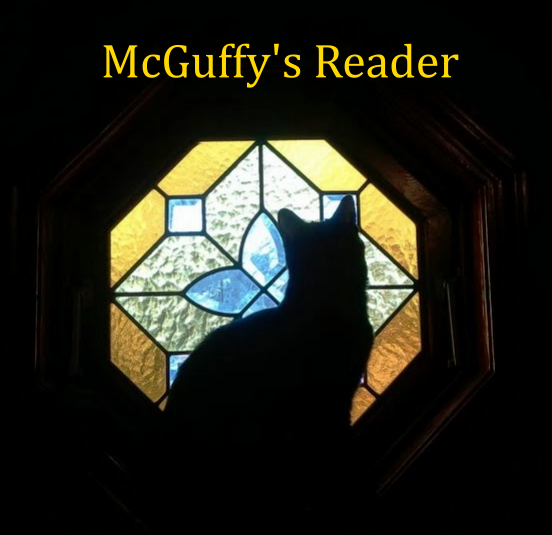 Annie of McGuffy's Reader is totally correct and it occurred after the American election. My cousin is an American and he's frustrated with what is going on with the results what is going on in his country. I worry also because it can affect my country Canada. I see the problems all sit in the White House because there is no respect to anyone. I pray that eventually life will come back to show respect with one another. See ya. PS Those kittens were cute. No it's been occurring for a very long time. Trump isn't the problem, Paul. You and I will disagree on this. He's upsetting the apple cart and it so needed being upset. I will say it again, I voted for Donald J. Trump. I couldn't and wouldn't vote for Hillary. I've told you this before. There's always one who isn't looking at the camera..always. Have a blessed day. Aw kittens! So true about gratitude, and how hard to maintain an attitude of gratitude and contentment. Powerful Sparks. I could not agree more. This is the key to much of what we seek. Thank you, Sandee. I love the way you think. HUGS! That is definitely an Awwww photo for a dreary Monday in my corner of the world. I love the gratitude quote. It speaks so well of how adopting an attitude of gratitude can improve how we view everything! Hope your week is a good one. thanks so much for linking us! Have to tell you, that was one of my WORST reviews EVER! I think I am worn out lol.........sending you much love!! Wonderful thoughts and thank you for sharing! Big Awwww!! Whenever I see kittens I can't believe my Princess was ever that small. Love your spark and I really believe that practicing gratitude every day can do all that and more. Have a really great week. A snug as a kitty in a rug. I LOVE the gratitude quote! I am going to put this one on my wall as I think I need to look at it when I write in my Gratitude Journal. The kittens are so cute!!! "Gratitude unlocks the fullness of life". Wise words, Sandee. I like what Melody Beattie wrote about Gratitude. Cute kitties! I'll take one of each, please. :) Have a wonderful week! Awwww, indeed. ~grin~ What a lovely quote! Thank you for sharing. Great post Sandee!!! the Kittens are so sweet. Brian the Snake says to tell you Sandee that he could unhinge his jaw & swallow both those kitties whole. He wants to know if you're impressed by that amazing feat? Wnderful quote, so true. And the kittens are definitely an AWWW!